Performance by Della Jones, Penelope Thwaites from the CD Songs for mezzo. 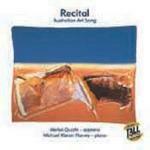 Recital : Australian art song / Merlyn Quaife: soprano, Michael Kieran Harvey: piano. Willow willow : voice and piano version / Percy Aldridge Grainger. O for a muse of fire : Shakespeare settings by Australian composers / Michael Halliwell, baritone ; David Miller, piano. Works by Gavin Lockley [and] Percy Grainger. 3 Aug 2018: at Stuart Skelton with Richard Peirson (Melbourne Recital Centre, Elisabeth Murdoch Hall). Featuring Stuart Skelton, Richard Peirson. 21 Sep 2016: at Shakespeare in Love (Melbourne Recital Centre, Primrose Potter Salon). 6 Aug 2011: at Festival Farewell! (Townsville Civic Theatre). Featuring Louise Page, Phillipa Candy. The AMC asked leading practitioners to select their favourite Australian art song repertoire, to provide delegates to the 2013 International Conference of Vocal Teachers (Brisbane 2013) with an introduction to this rich and diverse landscape. 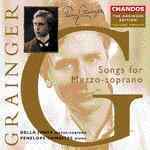 I like singing quite a few Grainger songs but this is a particular favorite. I relish Grainger’s idiosyncratic instructions to the performer and like Benjamin Britten’s folk song settings, they are special and unique.